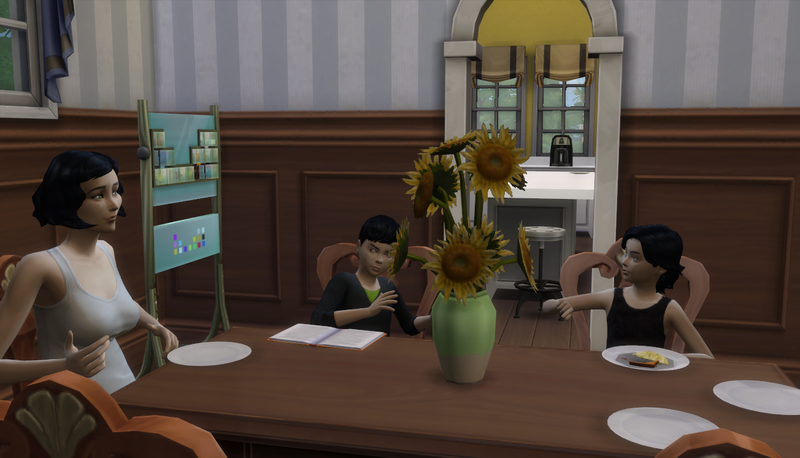 Chapter 54: Generation 8, or, "The Troubled Generation"
Dani passes, three kids are born, and they all have bad traits. 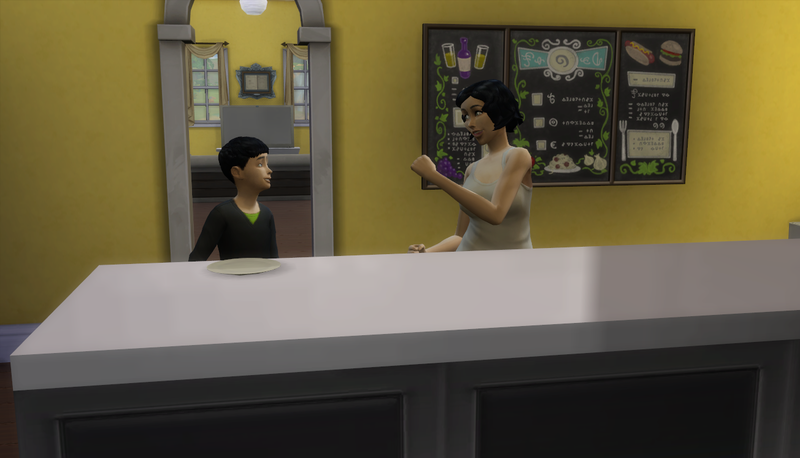 Before my latest play session, I turned off aging and went to visit Hiro and his two kids, Alexa and Marcelo. They were young adults and I was considering sending Marcelo away. 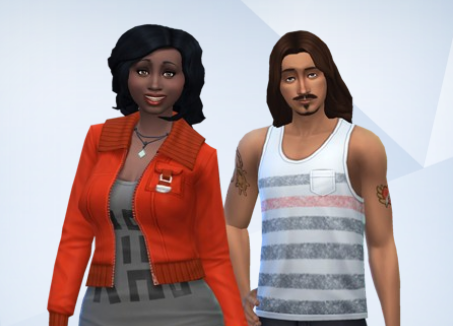 Instead, I decided to send a past version of Hiro and his late wife, Aubrey, to start a new life away from the rest of the family. Why am I telling you this? WELL, Nade went into labor while I was away from the house! 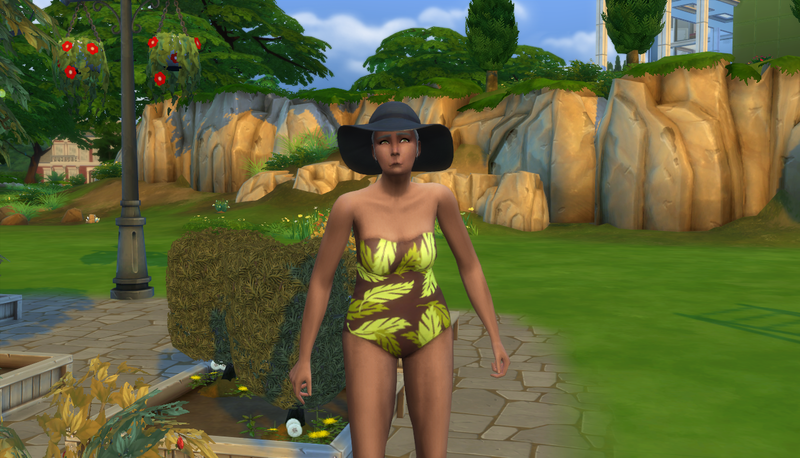 I found a mod that keeps them from giving birth until they’re the active household if you’ve got aging turned off. How convenient!!! I played for two sim days and the message popped up SO MANY TIMES. Once I had Marcelo settled (he got married) I headed back to the family home. 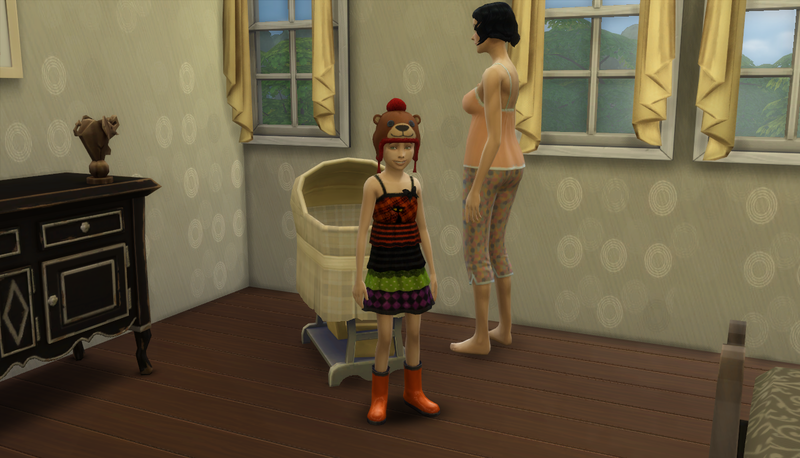 With Nade in labor and Natsuki still a little baby, I knew I had to age up Nat before things got weird. She was very tired after giving birth, NATURALLY, so she went back to sleep. When she woke up, she made herself some breakfast and maxed out cooking! Way to go, girl! 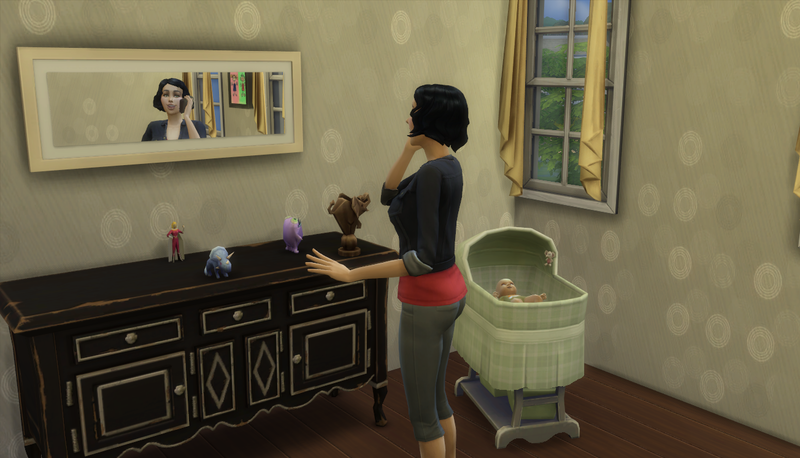 Of course, the joy of a new baby and skills getting maxed wouldn’t last very long. 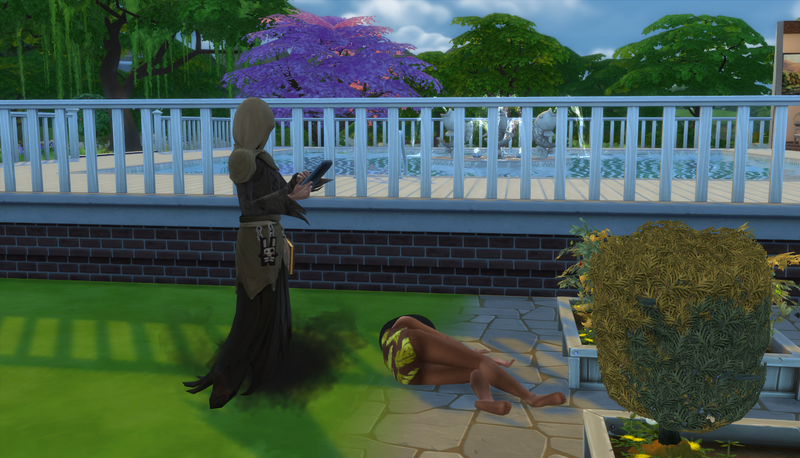 Dani left the world in almost the same spot her late husband, Tachi, did. Don’t look so glum! Grimmy, by this point, doesn’t bother them as much as he used to. He pops in, does his thing, and leaves. What sort of face is that, Ren? The couple got together fairly quickly and moved out, leaving the family to fend for themselves. However, Nade and Maddox were doing fine money wise. There seems to be a bug regarding bills and Nade’s had a letter in her inventory that she can’t open. They haven’t paid bills for at least two weeks. I keep forgetting about it… It might be a mod conflict but I can’t think of which it would be since I don’t mess with bill mods. More time passed and it came time for Nade to give birth. She’s been too impatient for the hospital these last two kids and it’s all for the better. This way she can be super comfortable. She had another girl! They named her Masumi. The kids reacted well to having another sibling but both of them felt they should grow up a little. Nat grew out her hair and it curled up just like her mom’s (even a bit more!) She also completed her artistic prodigy aspiration! 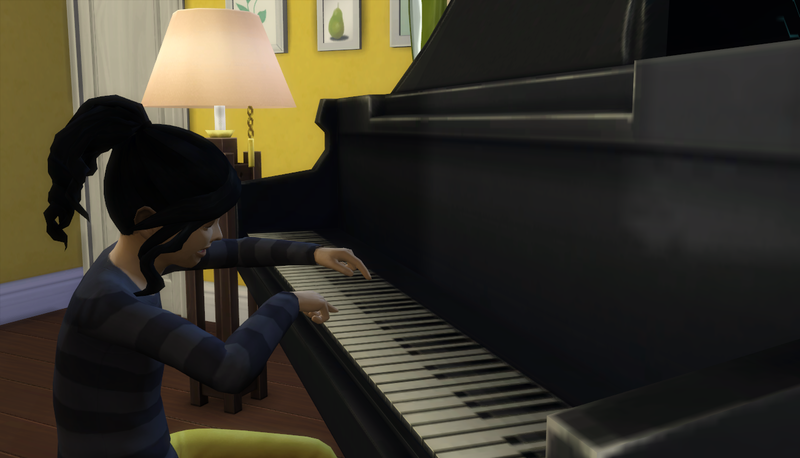 She’s been working really hard to get her piano skills higher and she’s already at adult level five! 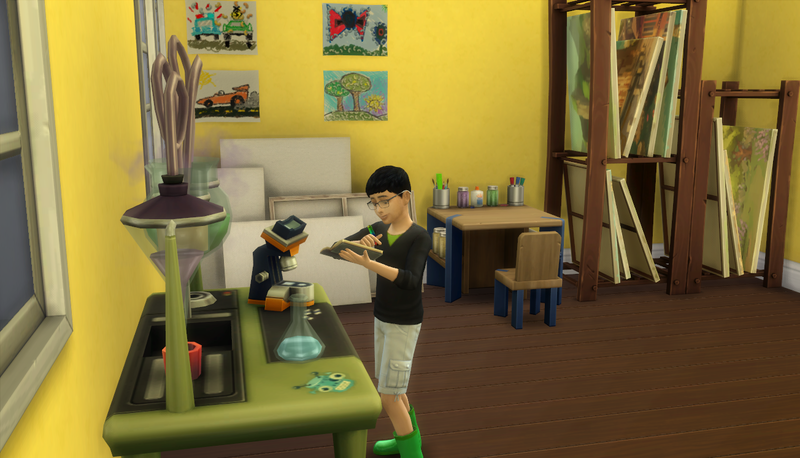 Mamoru, on he other hand, was still working on his whiz kid aspiration. He’s doing pretty well but not as well as his big sister. 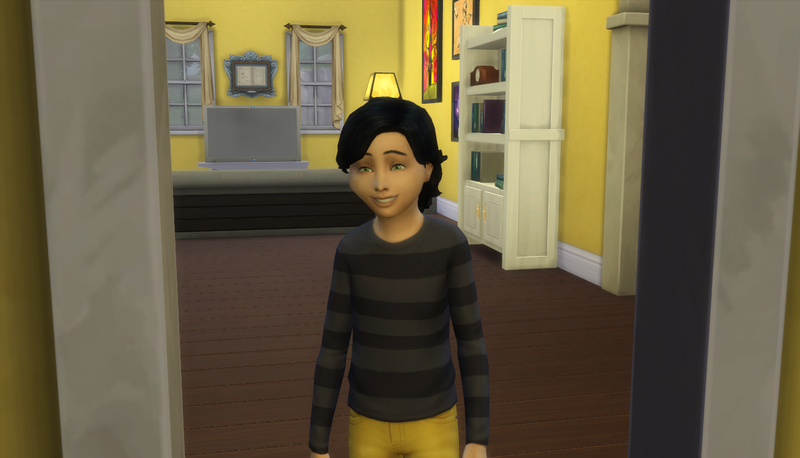 Soon it came time for Masumi to age up into a child. Her fashion sense was so weird and I loved it! She reminded me a little bit of Michiru with her weird outfits.